Become a Distinguished Stamps Scholar! 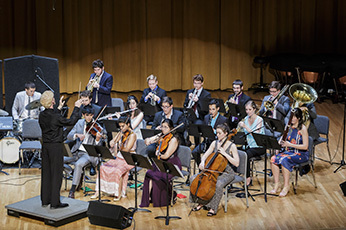 The Stamps Family Charitable Foundation Music Scholarship Fund provides full tuition scholarships plus expenses to Stamps Scholars at the Frost School of Music, University of Miami through the generosity of South Florida philanthropists and music lovers Penny and E. Roe Stamps. STAMPS STRING QUARTET CLASS OF 2022!